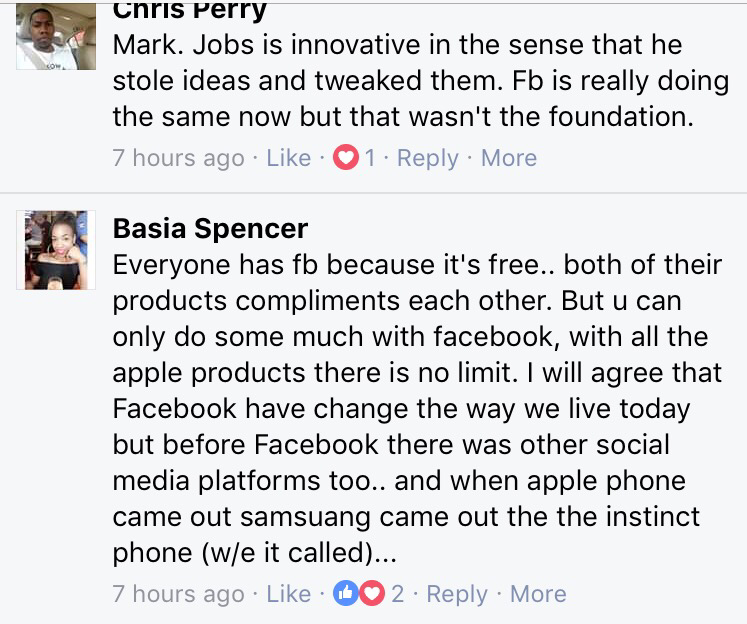 The Great Debate: Who’s More Innovative Steve Jobs or Mark Zuckerberg? 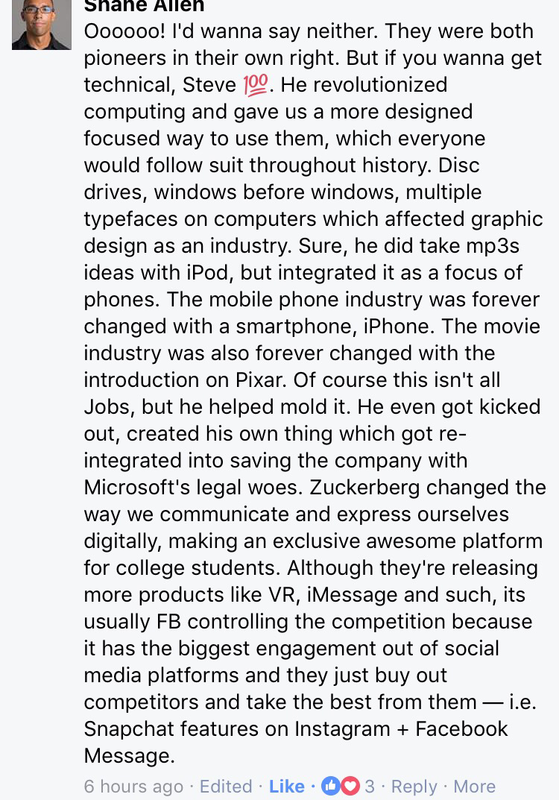 Who is the most innovative: Mark Zuckerberg or Steve Jobs? 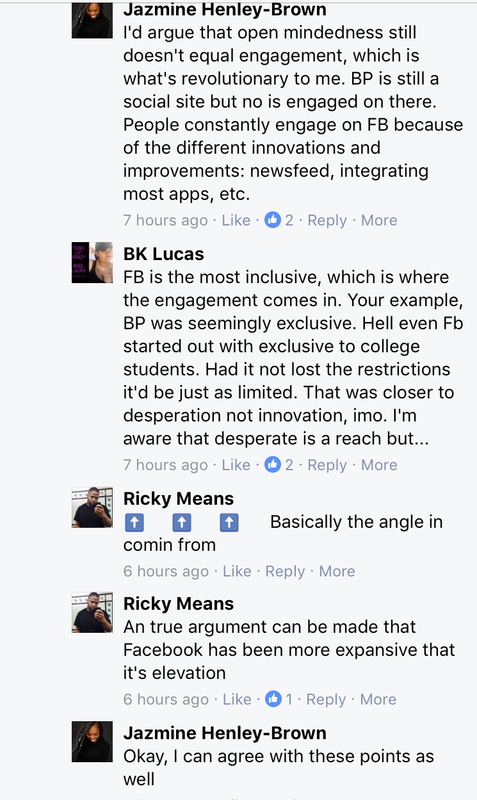 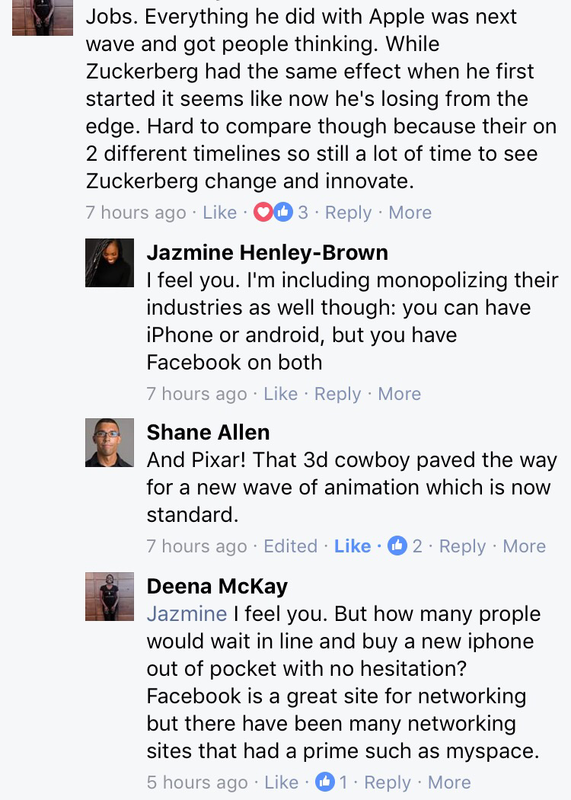 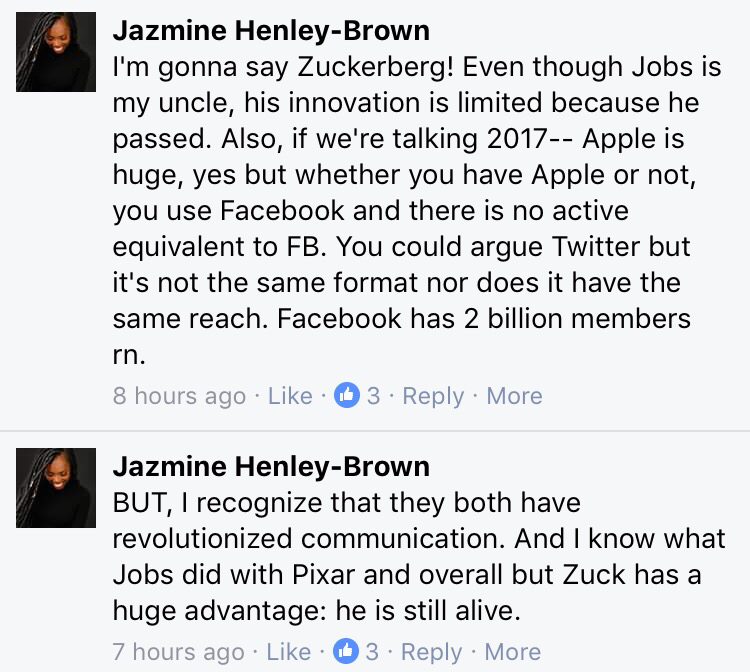 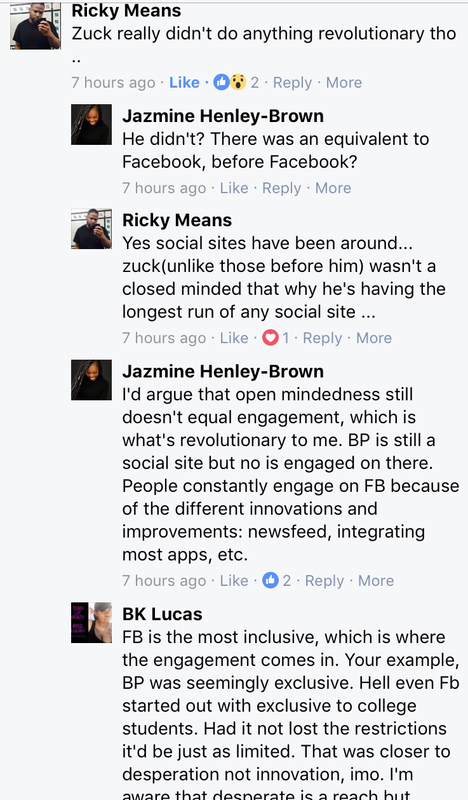 After the insights offered in the Facebook conversation I thought we needed to have this discussion in the Black Tech Unplugged community. 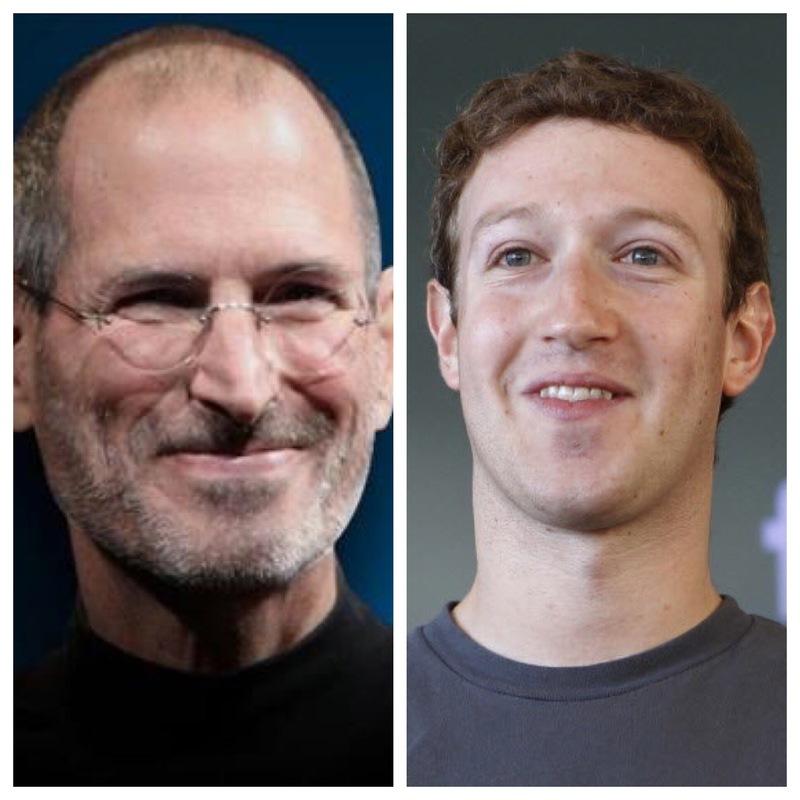 Leave a comment and let me know who you would choose as the King of Innovation: Steve Jobs or Mark Zuckerberg?